Please, note: the Google+ Sign-in feature has been fully deprecated and will also be shut down on March 7, 2019. 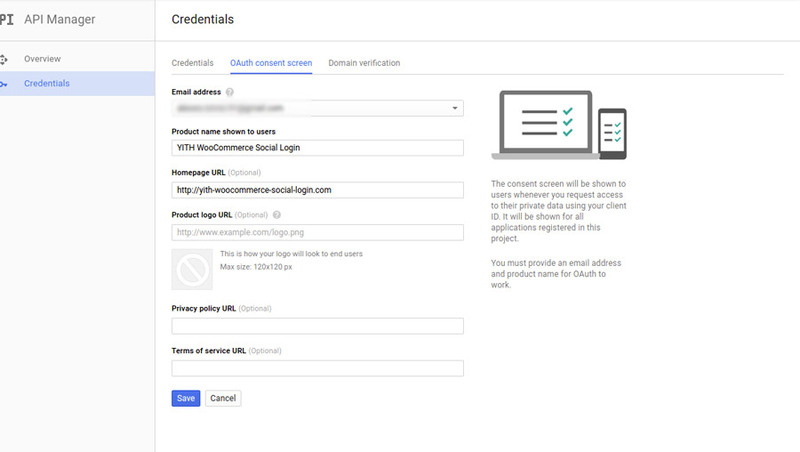 Developers should migrate to the more comprehensive Google Sign-in authentication system. 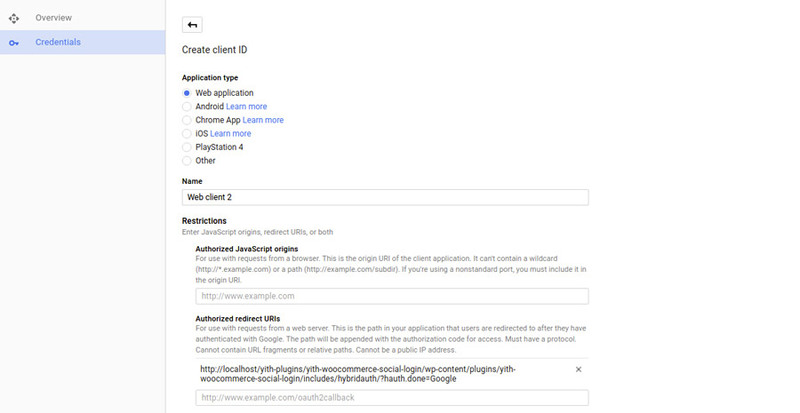 If you had a Google+ account, just go here and make sure that your credentials are OAuth 2.0. If they are, then, you don’t have to change anything. If they are not, just make sure to create new OAuth credentials as explained below. 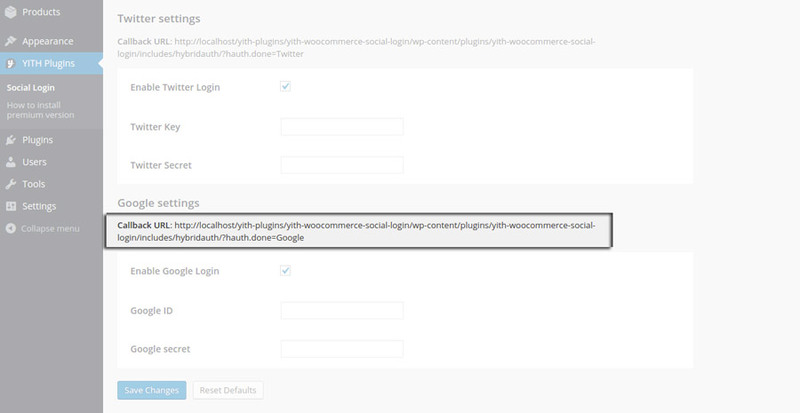 To display the button for Google login, you have to enable the option Enable Google Login that you can find in the plugin option panel. 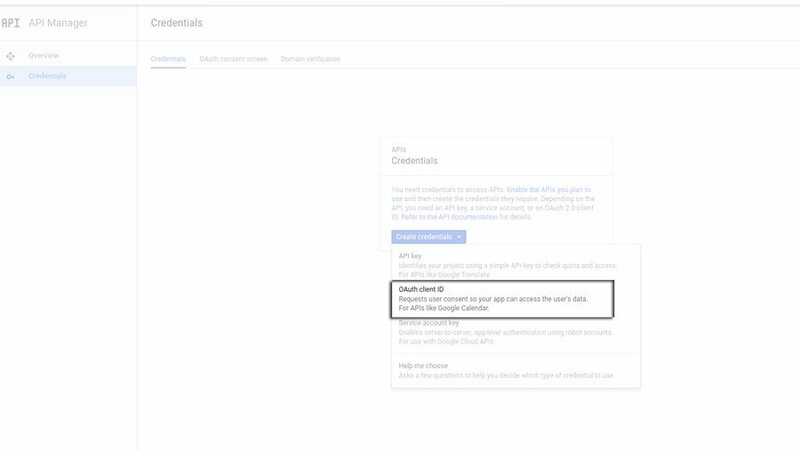 First of all, click on this link: https://console.developers.google.com/ and then click on Credentials and select the O Auth Client ID entry. 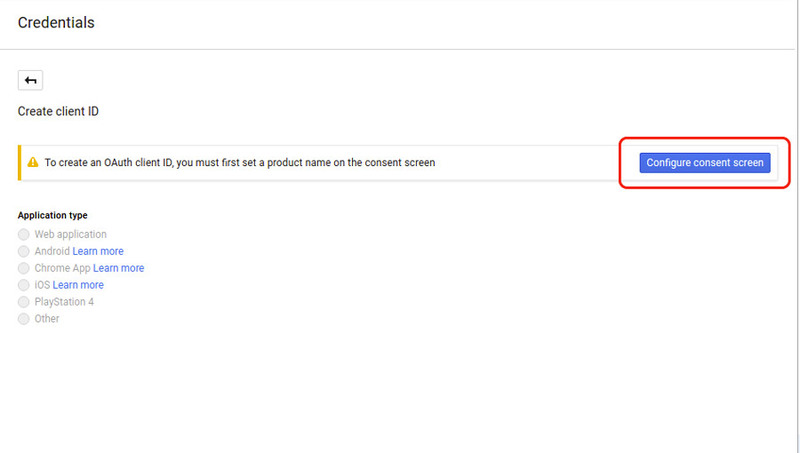 Select Web application and click on Create button. Please note: Copy the Callback URL value from the settings panel and paste it into Authorized redirect URIs in the plugin settings. 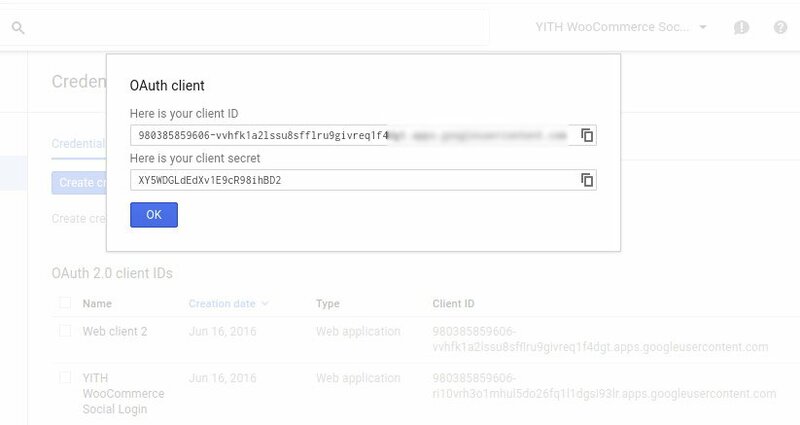 Copy values in Client ID and Client Secret and paste them into the plugin option panel.